A screening to support Fierce Flix featuring films by local women and queer filmmakers. Work by Anne Slatton, Patricia Furnish, James Theophilos, Constance Humphries, Charlotte Taylor, Jessica McPhatter, Kari Barrows, and more! Who is your favorite female film director? How many women in film can you name? If you’re having trouble with these questions, you’re not alone. We talk a lot about the representation of women on screen – the Bechdel Test and discussions surrounding women on screen (only 30.8% of speaking characters in the top 250 movies of 2012 were women) are spreading beyond academia and into mainstream movie reviews. We talk about princesses and the role models (and gender roles) we set up for little girls. But the gender gap lives behind the camera, too. And a group of filmmakers in town have set out to address this, at Fierce Flix. Fierce Flix is a summer day camp for girls and gender minorities ages 8-16 taking place June 27-July 1. Over the course of a week, campers will work in teams to write, direct, shoot, and edit music videos for the Girls Rock Asheville bands! The music videos will premiere at Grail Moviehouse during a public screening at the end of camp. 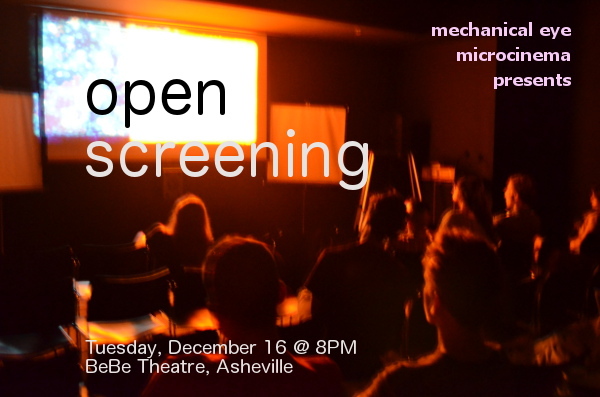 To learn more about the camp, or to support awesome women filmmakers here in Asheville, come say hi this Saturday at our screening!